BIO 50, the 24th edition of the Biennial of Design in Ljubljana was taking place in September to December 2014 at the Slovenian capital’s Museum of Architecture. BIO is one of the longest-standing regular design events, founded in 1964. It has moved recently from an awards-based competition to an experimental process that rewards collaboration. Within the framework of BIO 50, around 120 international designers and multidisciplinary agents have engaged in a six-month collaborative effort devising possible futures for design. Guided by a group of mentors, eleven teams tackled each a specific topic about how design affects and determines our life and environment. This new book compiles notes, essays, and interviews, along with rich visual material. It aggregates the manifold dimensions of each team’s collaborative process, and illuminates strategies and roles for design in a contemporary world. 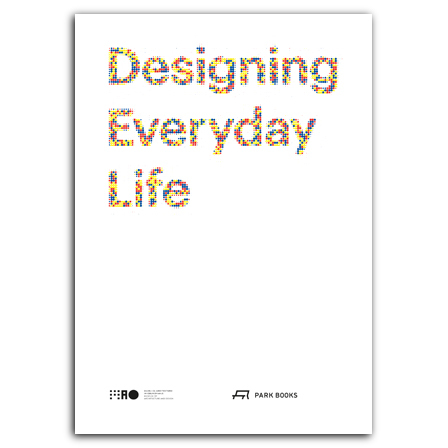 Designing Everyday Life also features reflections on BIO as a meeting point for design between East and West in Central Europe, and conversations with design critic Alice Rawsthorn, industrial designers Konstantin Grcic and Saša J. Mächtig, and others. is a product designer and chief curator of BIO 50. He is artistic director of Z33 House for Contemporary Art in Hasselt and head of the Master Department Social Design at the Design Academy Eindhoven. is a design writer and critic, contributing to journals and magazines including Domus, Disegno, Change Observer, The New City Reader, and Frame. She has also been curator of the program “Towards a New Avant-Garde” at this year’s 14th International Architecture Exhibition of the Venice Biennial.